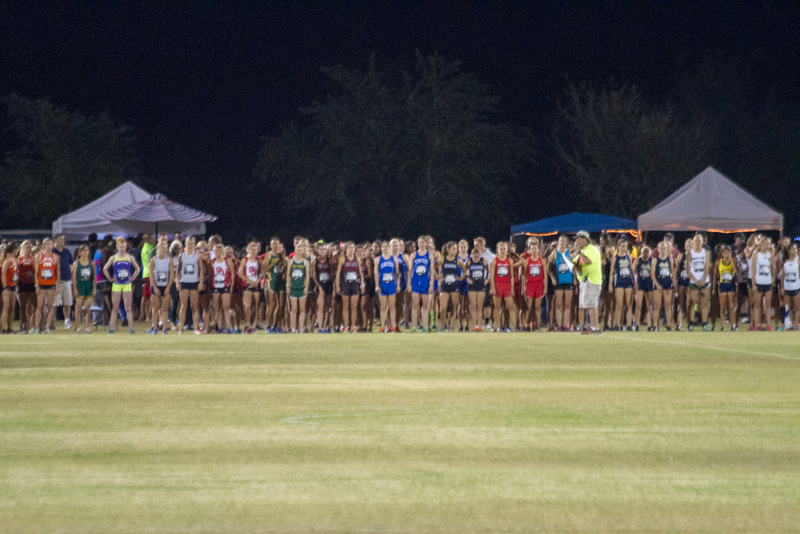 ARIZONA STATE CHAMPIONSHIPS DIVISION 1. Shannon 9th. 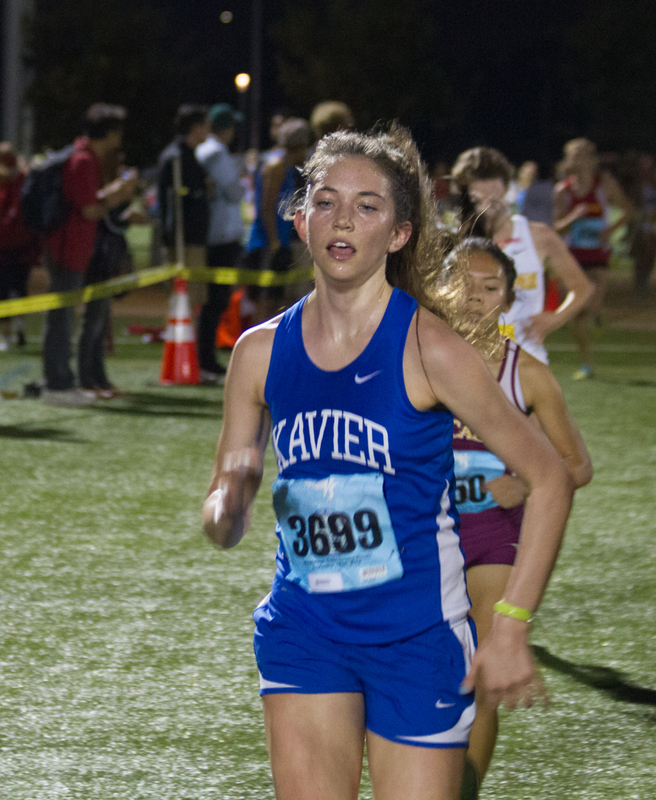 Xavier 2nd. 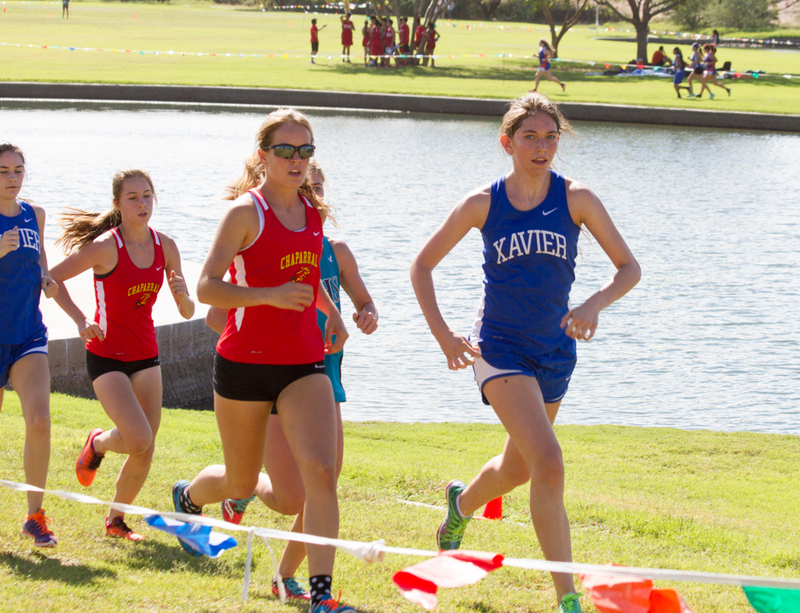 The 2014 Cross Country Arizona State Championships were held this past Saturday, November 8th at the Cave Creek golf course in Phoenix. Along with a challenging course we also had unseasonably hot weather. If we didn’t have record temperatures for the day we were darn close. 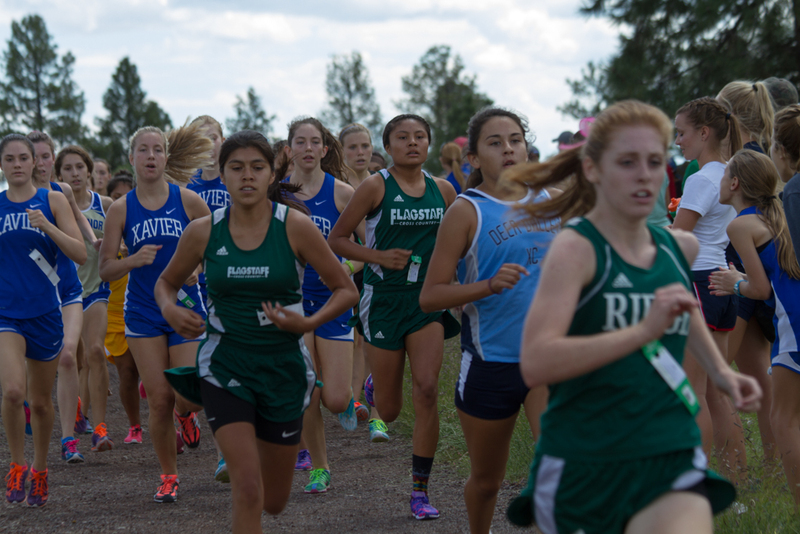 It is a great course with lots of rolling hills that can destroy a racer if they go out too fast. 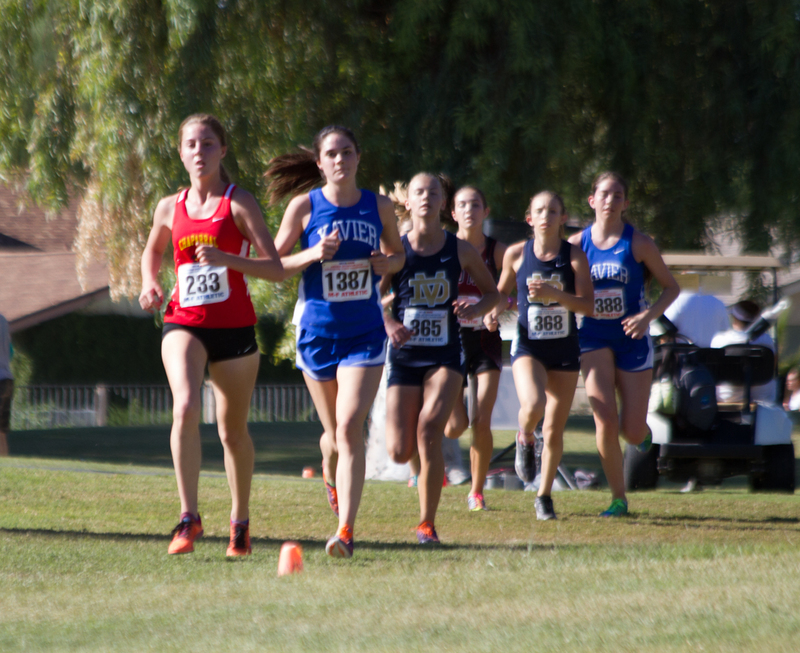 Shannon and her team were very well prepared for the race and they raced strong and smart. 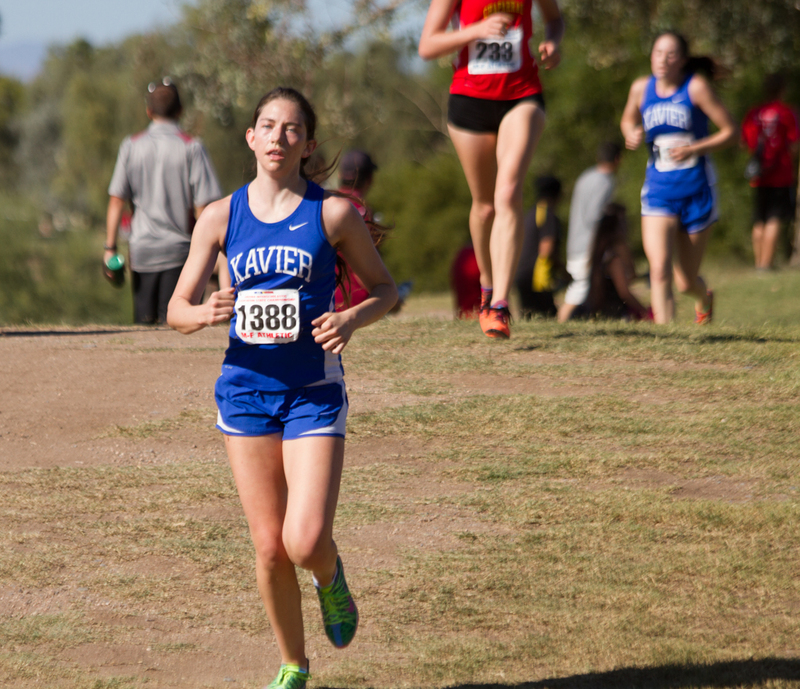 Shannon led the Xavier Gators home with a 9th place finish and helped the Gators to a 2nd place finish. 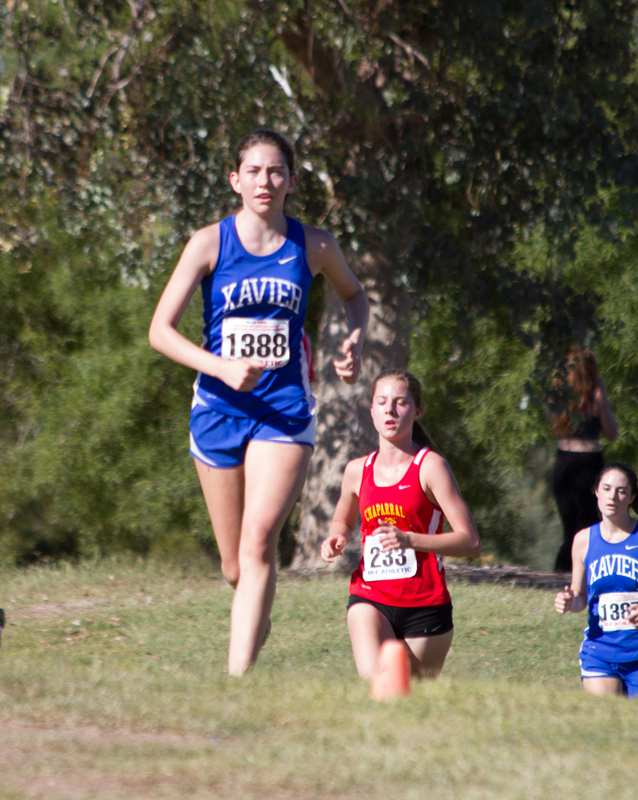 Shannon set her own personal record on the course beating her previous best by 31 seconds! 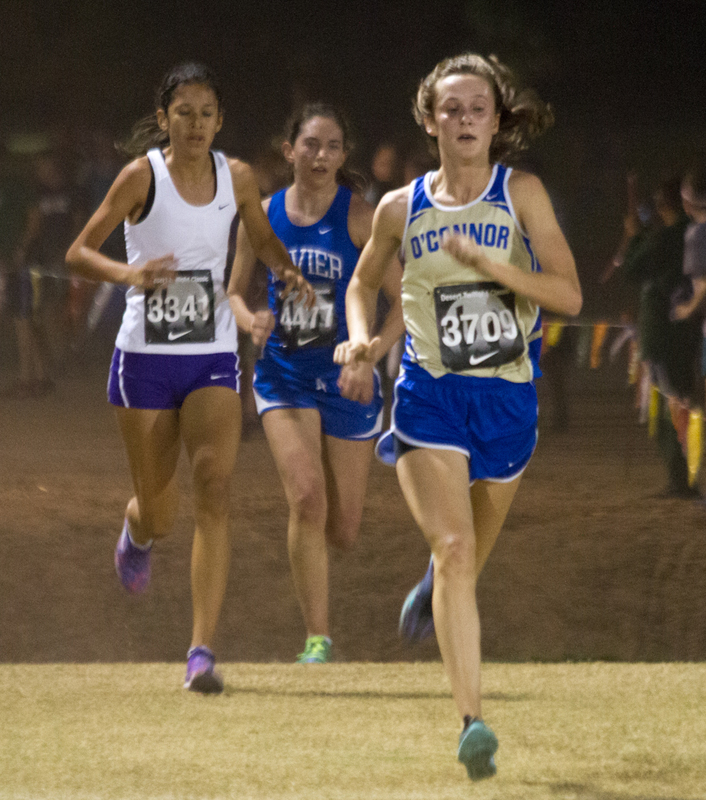 Speaking of records the race winner, Dani Jones set a course record and beat her personal best by 34 seconds. 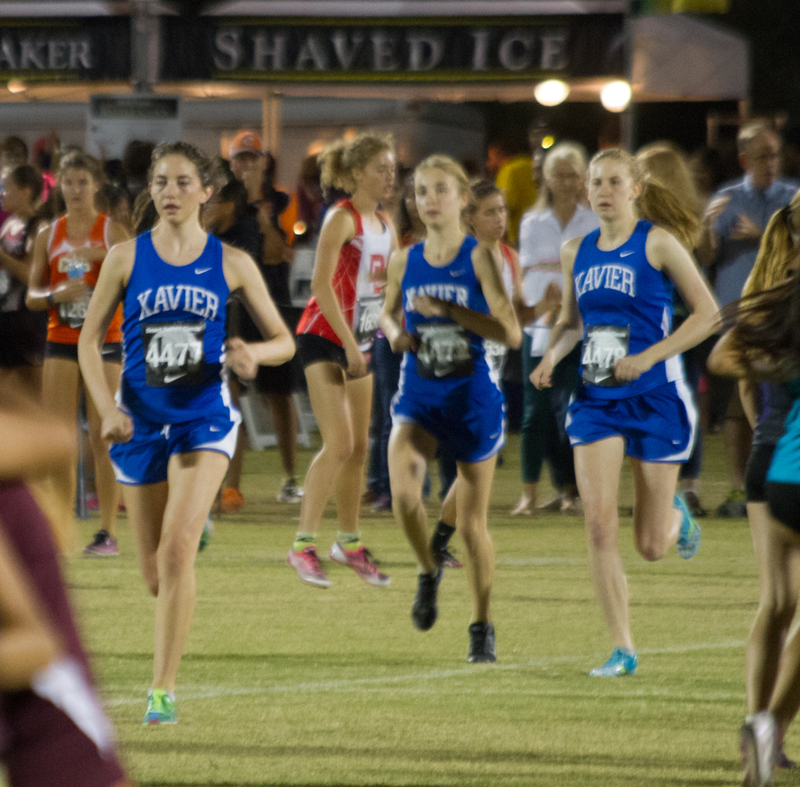 GREAT RACE XAVIER GATORS! 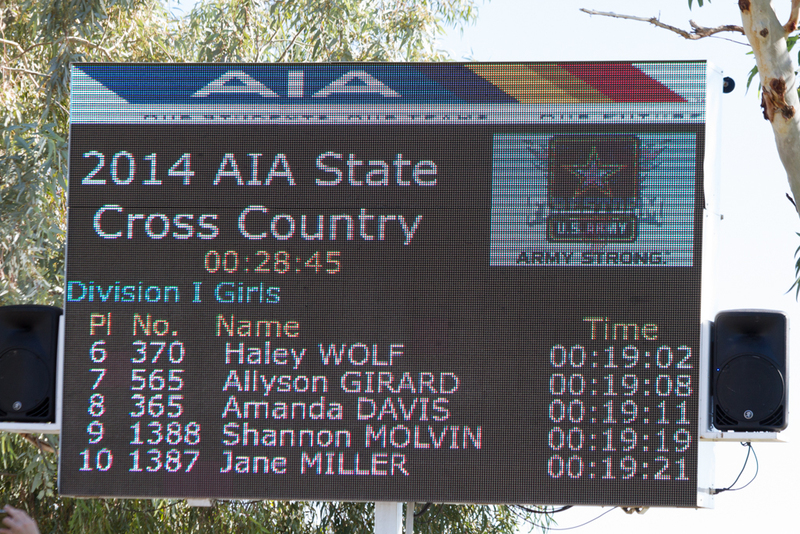 GREAT RACE SHANNON! 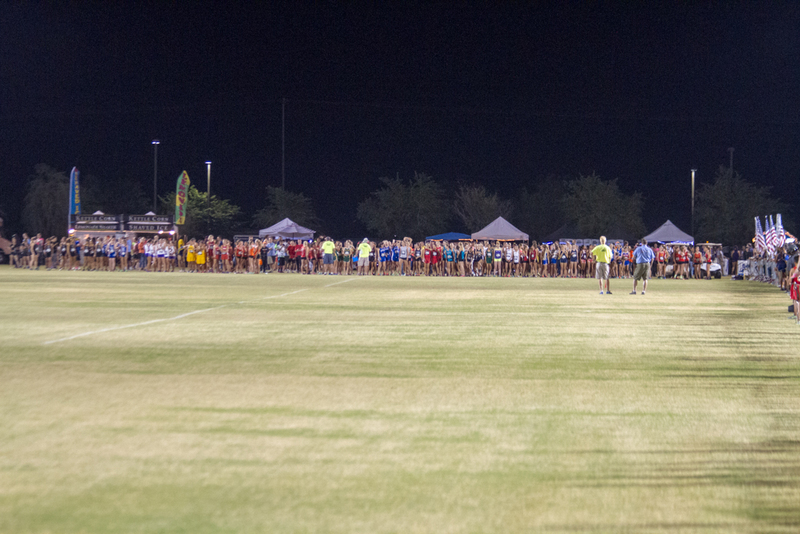 157 Racers and 21 teams off the start. 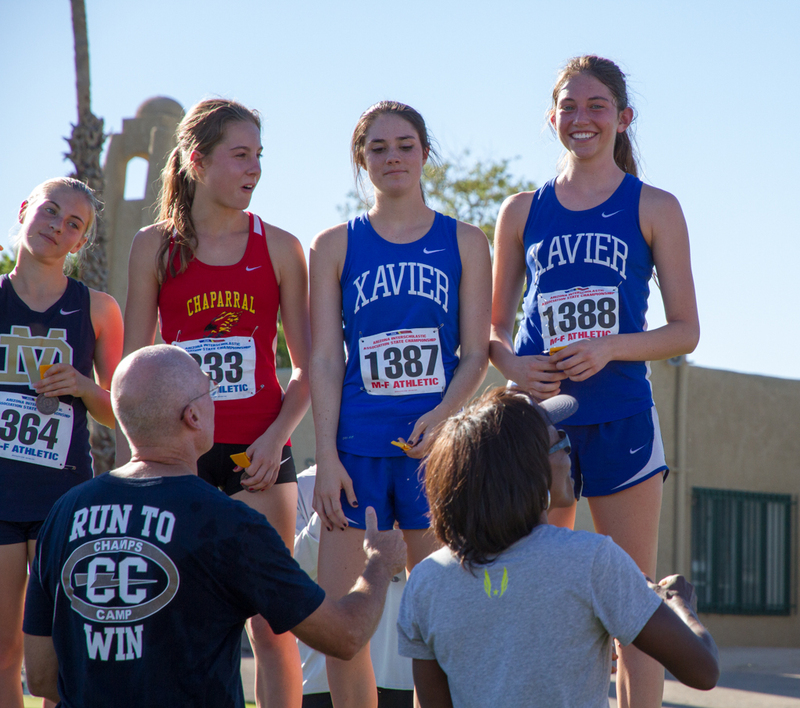 Xavier’s Shannon, Sierra, Jane and Caroline. #387 Dani Jones. Race Winner. Shannon and Jane in the pack near the the front. 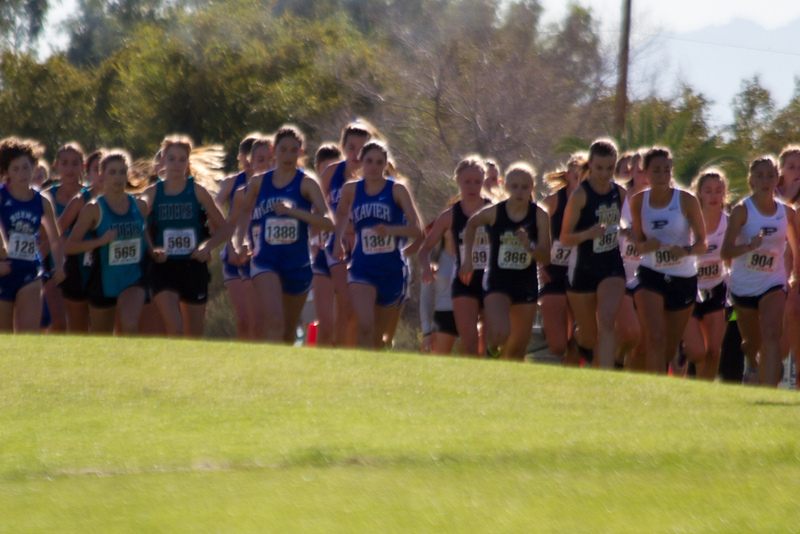 First couple hundred meters into the race. Jane and Shannon in a front pack just after the 2 mile mark. 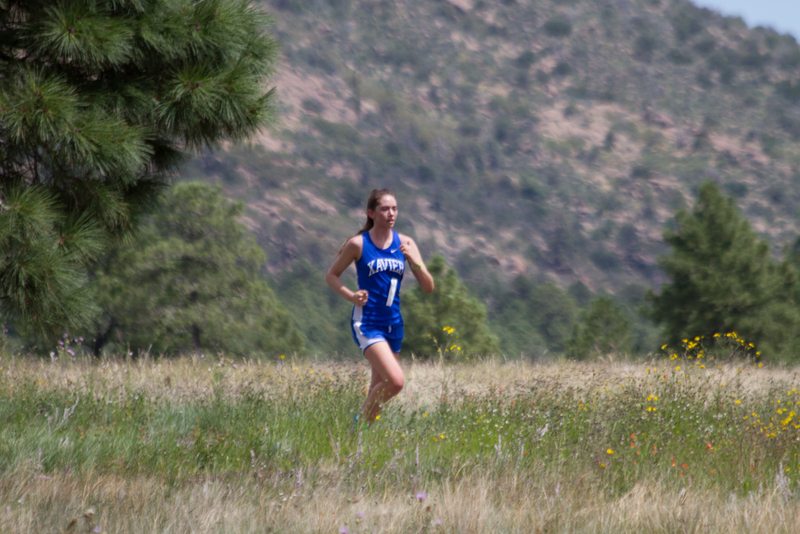 Shannon with less that 1000 meters to go. Shannon is in 9th place and would hold 9th place to the finish. Jane moved up to 10th place. Nothing to do but finish. 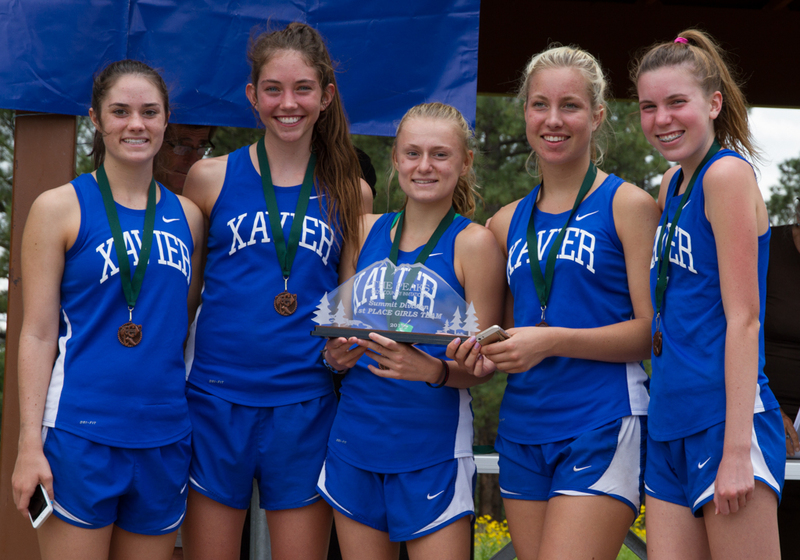 Congratulations to Jane, Shannon and the 2014 Xavier Gators. Top 21. Xavier Gators. Sierra, Jane, and Shannon. Well Done Xavier 7. Jane, Shannon, Caroline, Shannon, Tessa, Sarah, Sierra. 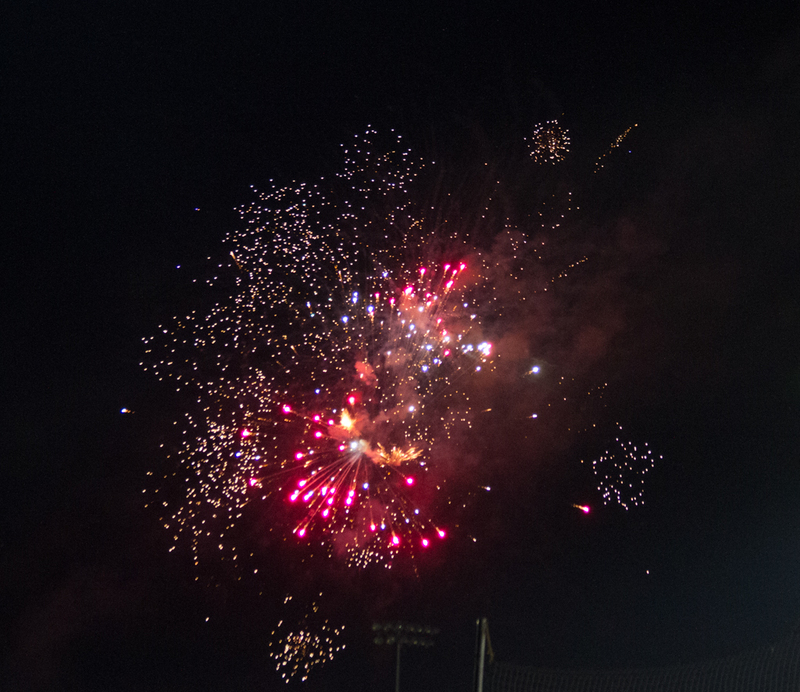 Congratulations Xavier Gators!!! It’s not over yet. Eden, Jane, Shannon, Caroline, Vitto, Shannon, Tessa, Sarah, Sierra, Dave. 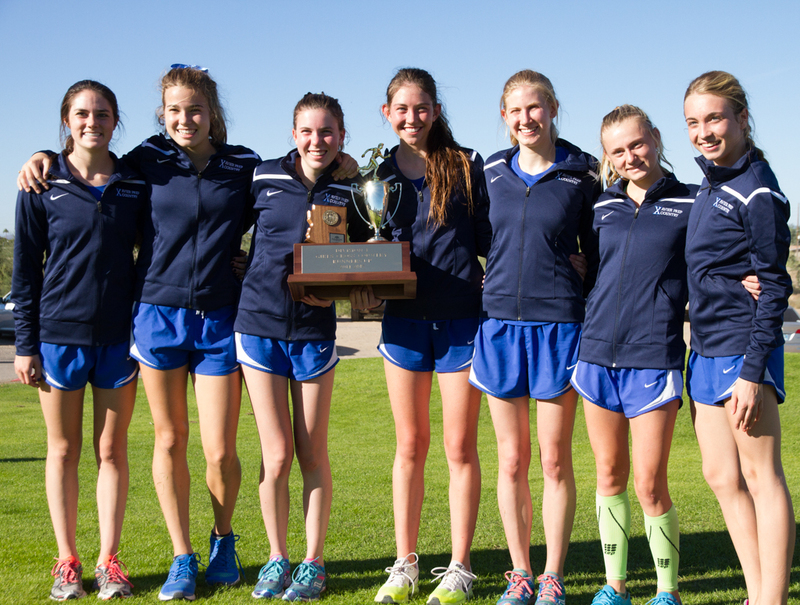 2014 Arizona States Championships Division 1 video. 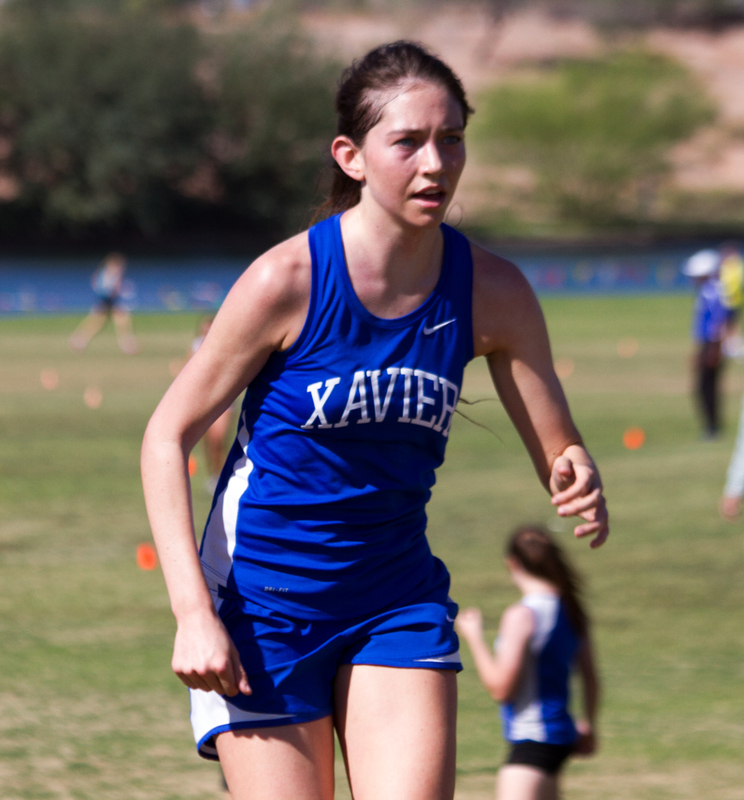 The Xavier Cross Country team headed to Gilbert, AZ on Halloween for their mid-day Sectional meet. Even for Arizona it was hot for the end of October. 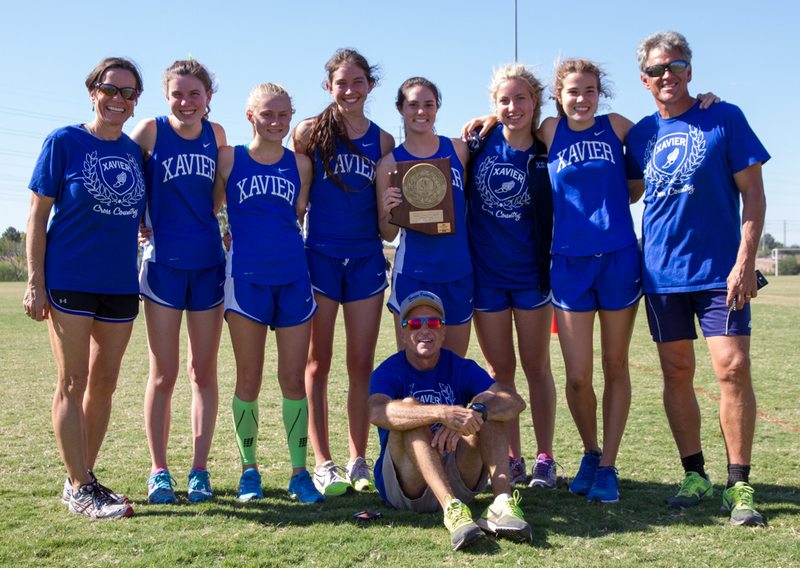 Xavier won their division convincingly putting 5 in the top 13 and qualifying for next weekend’s state meet. Shannon had quite the race. 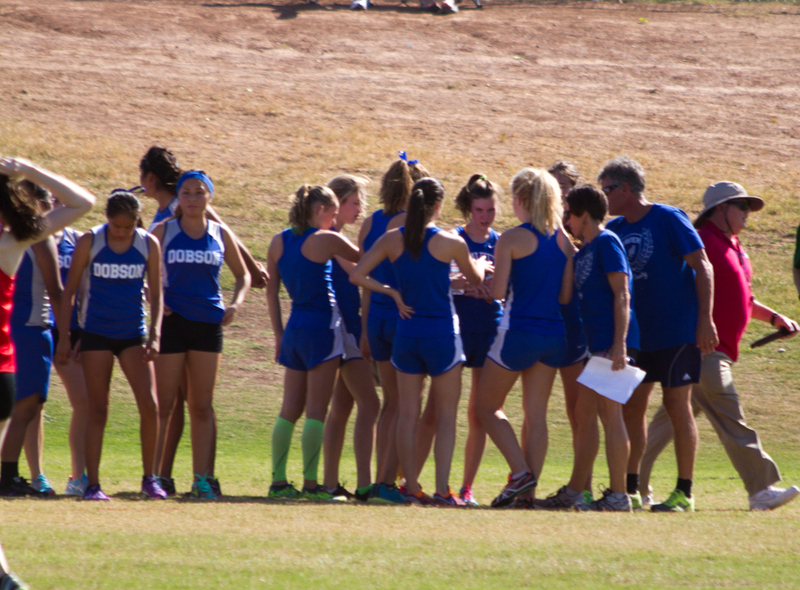 Shortly after the start Shannon moved to the front and led the field for a while. Shannon stayed strong through out the race and finished a solid 4th. 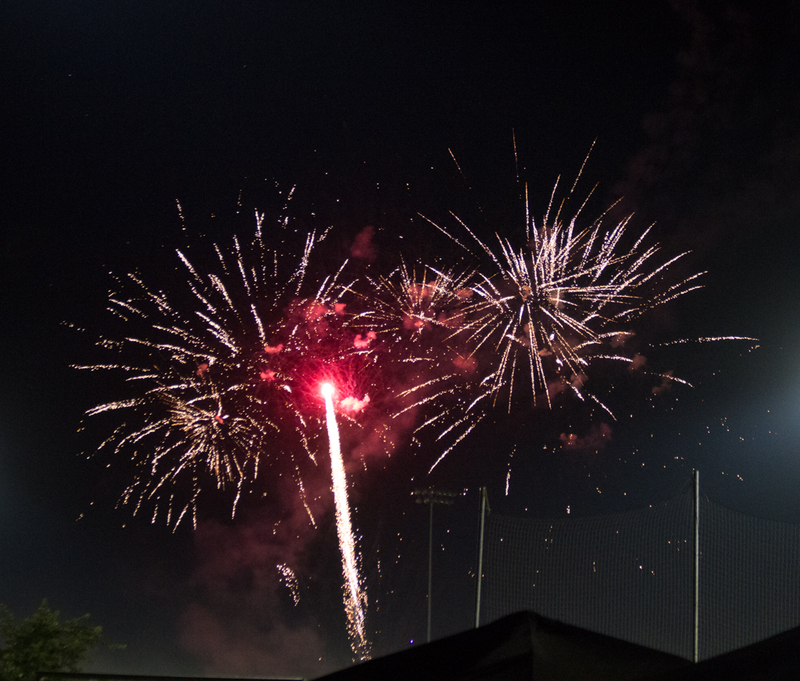 The Xavier Gators returned to Arizona with great confidence after their strong performance in California two weeks prior. 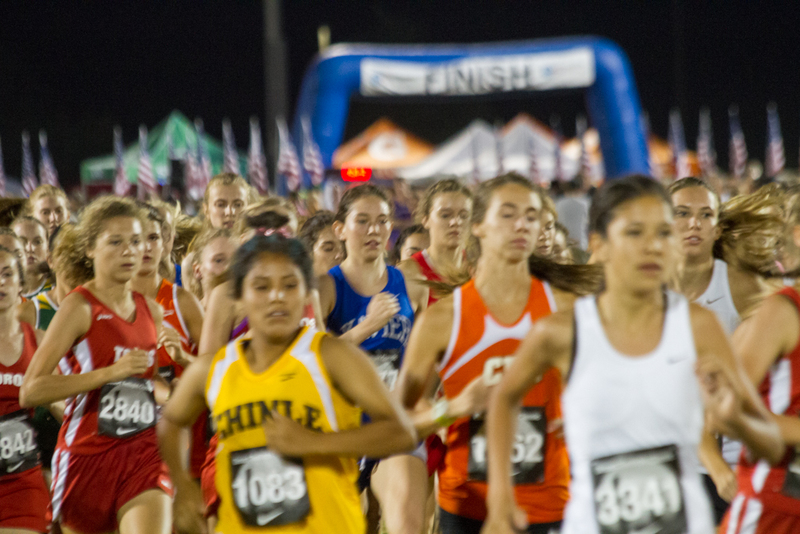 The Desert Twilight Cross Country Festival is Arizona’s largest and most unique cross country meet. Raced under the lights on a flat and fast course. 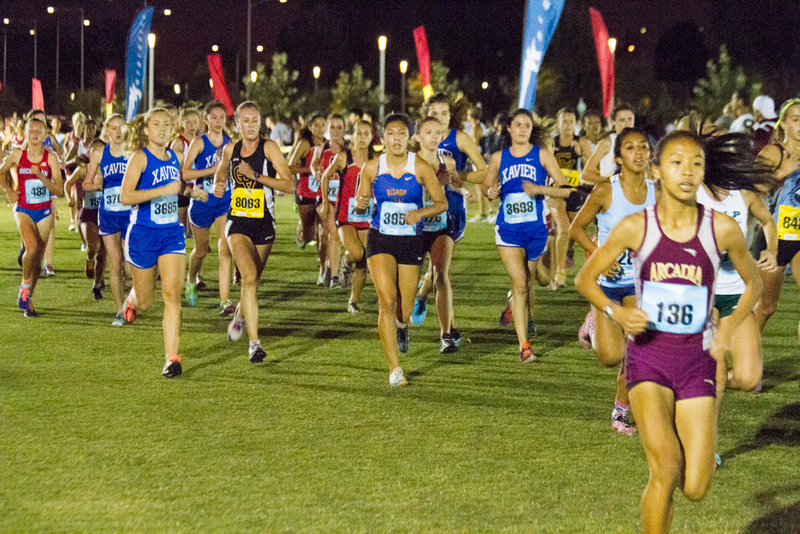 Desert Twilight attracts schools from across the nation. 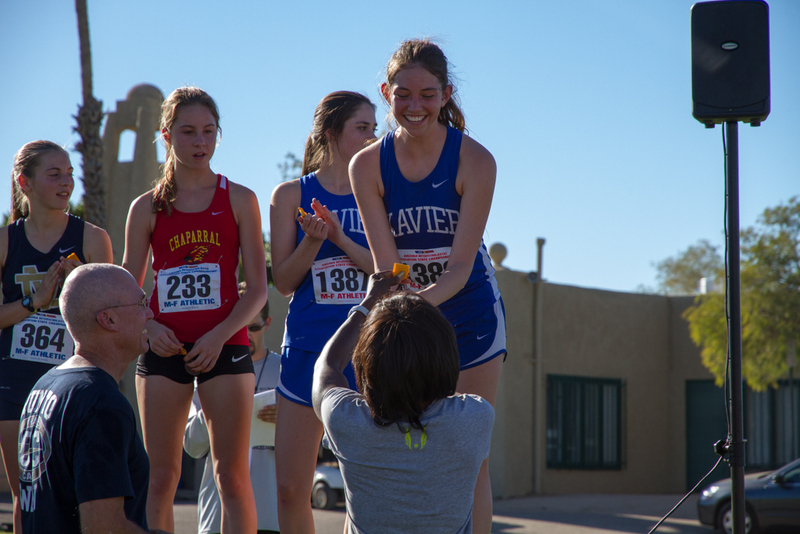 This year there was a big presence of schools from Arizona, California, Colorado, New Mexico, and Utah. 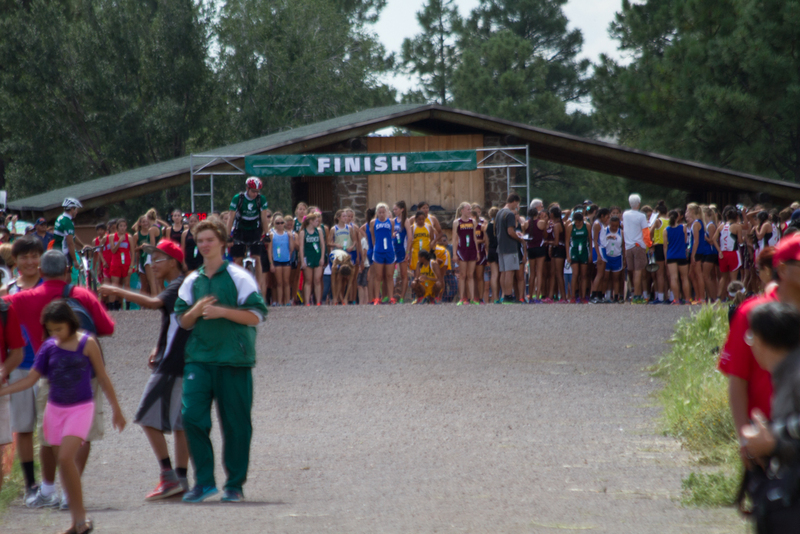 The same course will be used in a few weeks for the Nike Southwest qualifier. 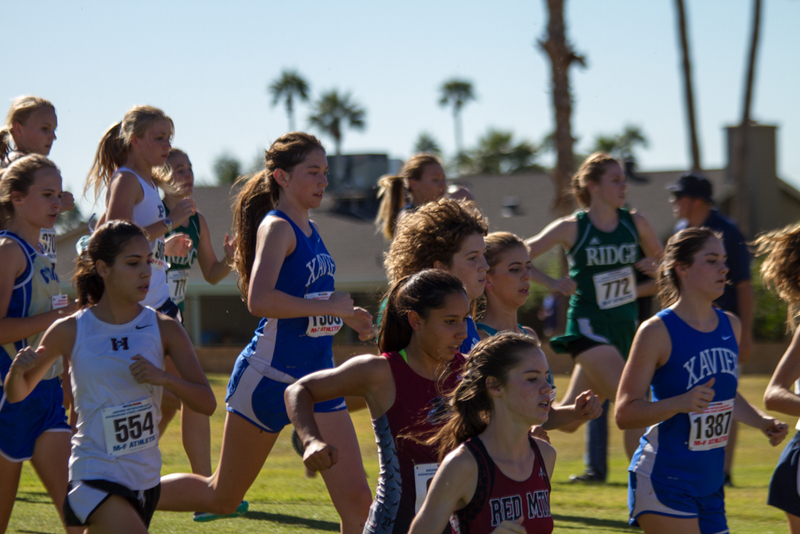 Shannon again ran in a Sweepstakes race which had 21 teams and 152 girls. Shannon again showed good form and strength. 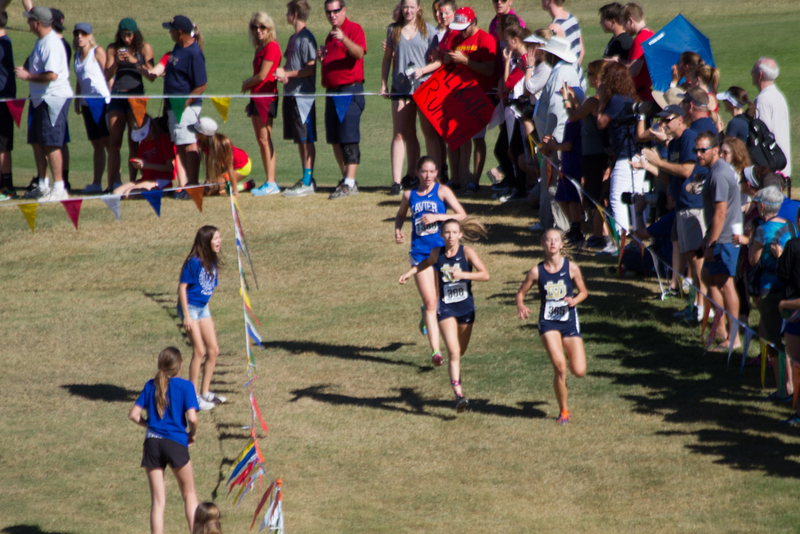 Shannon finished 22 overall, was the 2nd Gator in and had 41 second PR! The Gators finished second. 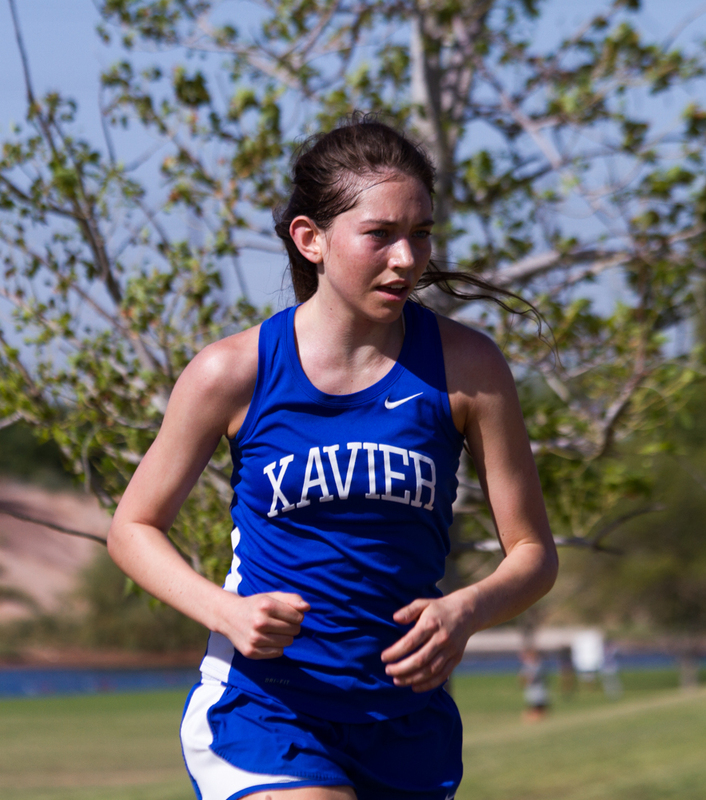 Shannon’s time on the 5K course was a 18:12.67. Full results. On the starting line receiving instructions. Shannon’s biggest fan. Heading to the other side of the course for the start. And yet more instructions. And they are off. 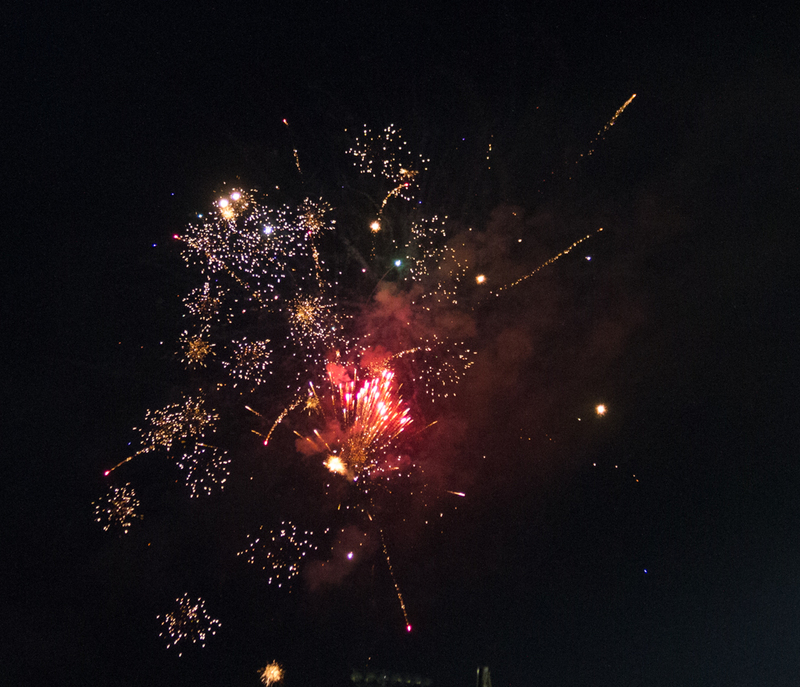 Shortly after the start and near the front. 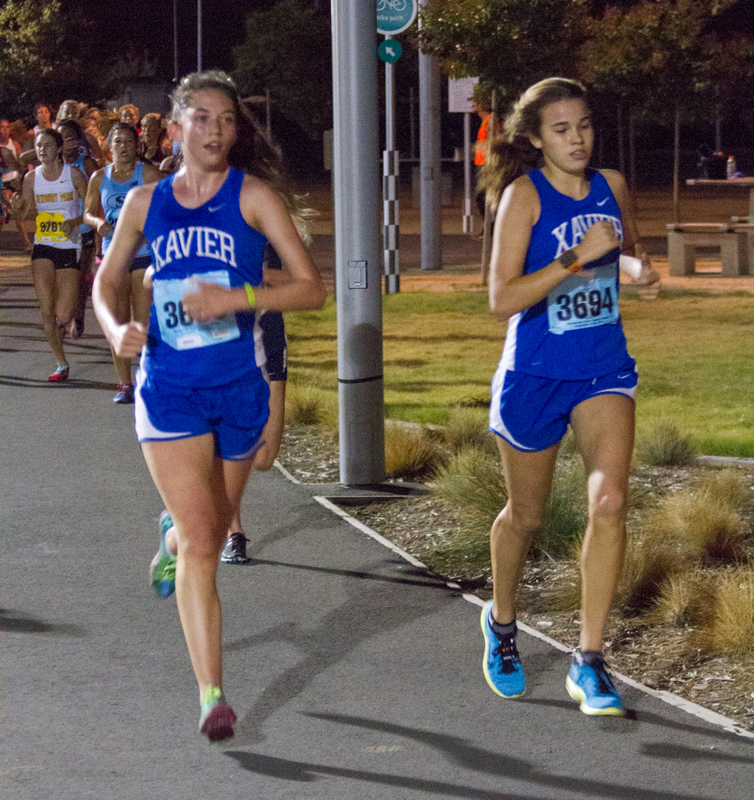 Early in the race with teammate Jane Miller. Moving up through the pack. Heading to the finishing straight. Bringing it home. With their hardware. Xavier took 2nd. Well done! 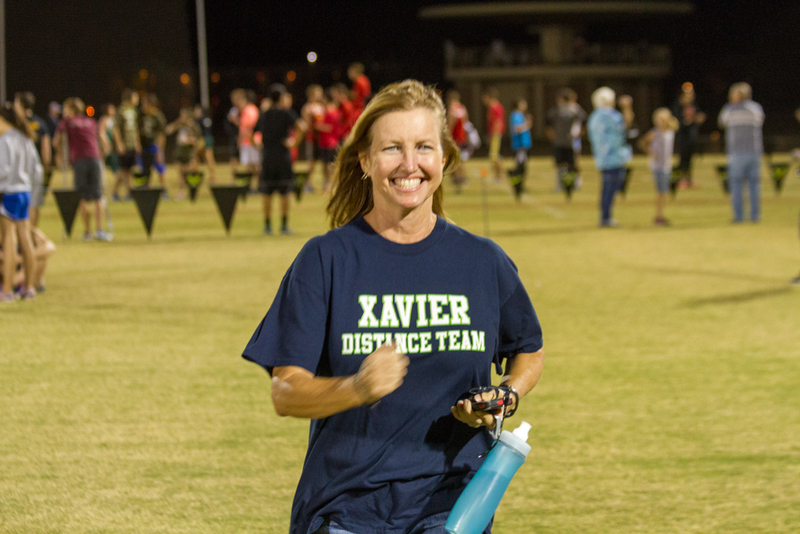 Xavier Cross Country goes to California. 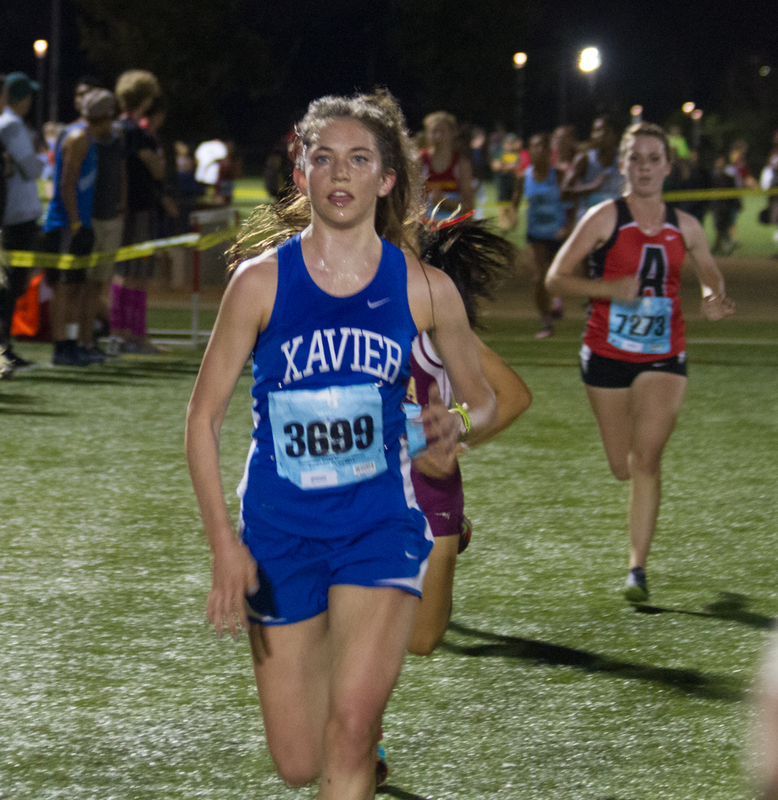 Shannon and her Xavier Cross Country team headed over to southern California this past weekend for the 34th Annual Woodbridge Cross Country Classic. 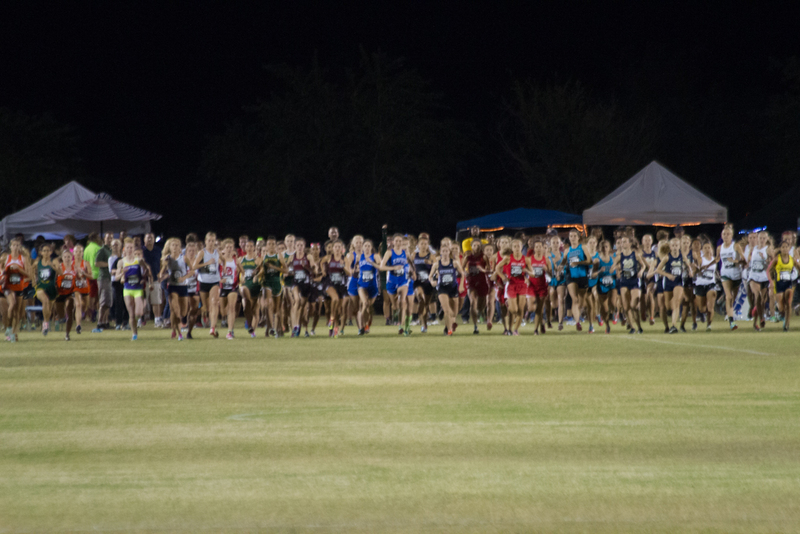 The course was flat, fast and the field featured some of the top High School runners in the nation. 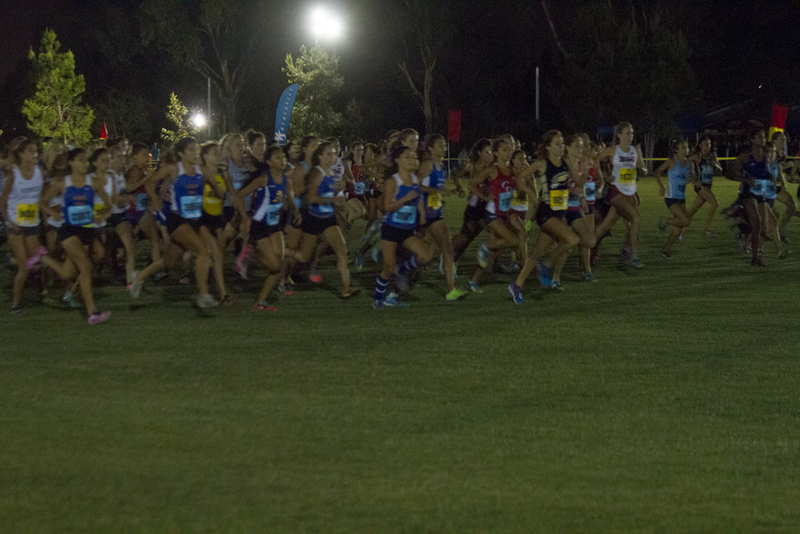 The race was run under the lights in cool weather on a fast 3 mile course. 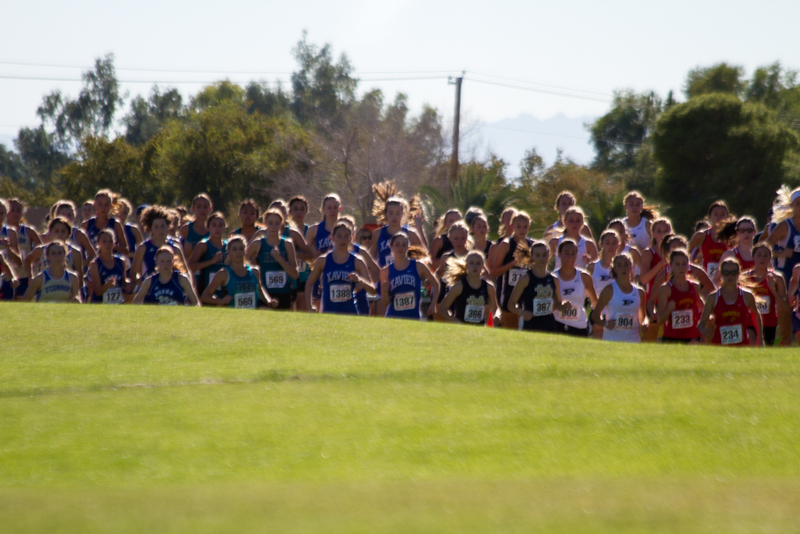 There were about 160 runners in the sweepstakes race. Also a great race atmosphere with a loud and big crowd. 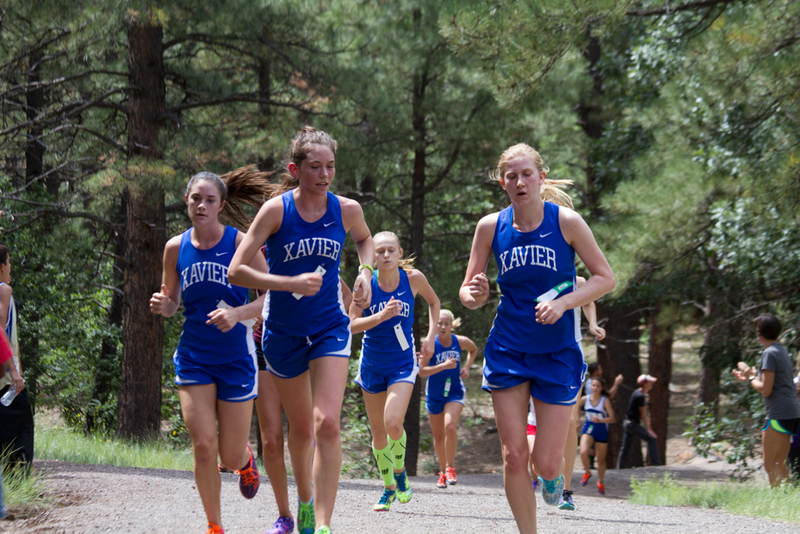 The plan for Xavier going into the race was to stay together as a pack and run 6 minute mile splits for the first two miles then blow out the last mile. 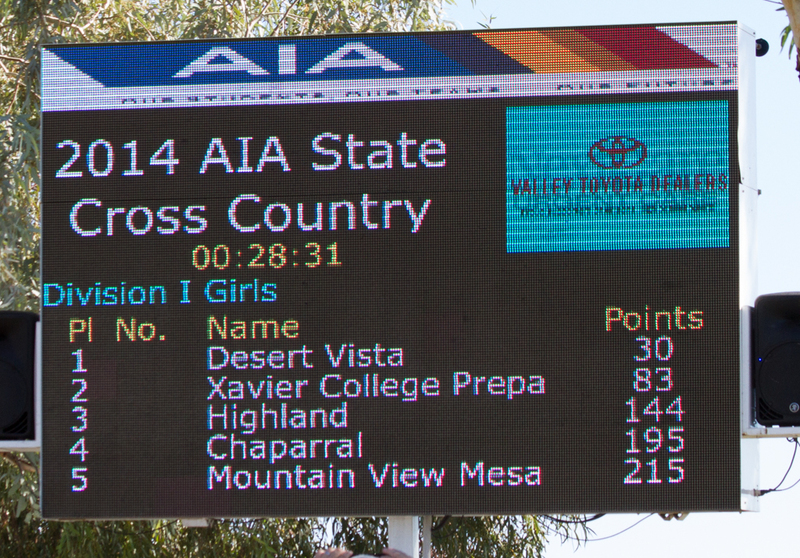 From where we watched the race we were able to see the girls come by three times in the first mile. 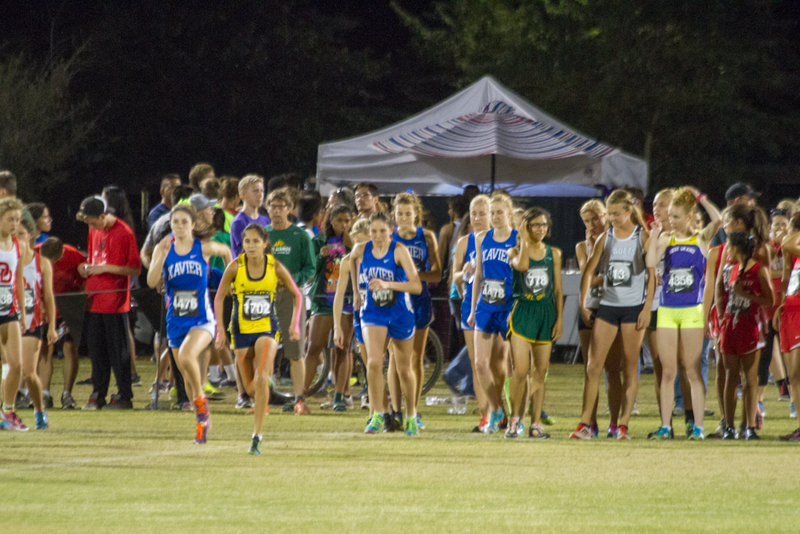 The pace off the start was fast and the 6 minute mile pace was quickly scrapped. Early off the start line and by us for the first time Xavier was close to the back. 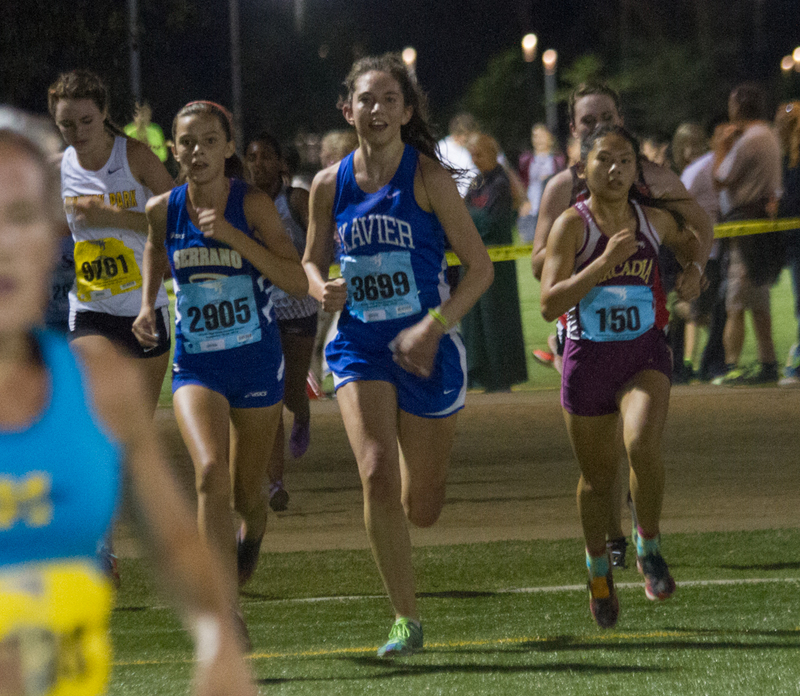 By the second time by they had started moving up and the third time by, at the mile mark they were about mid-pack. 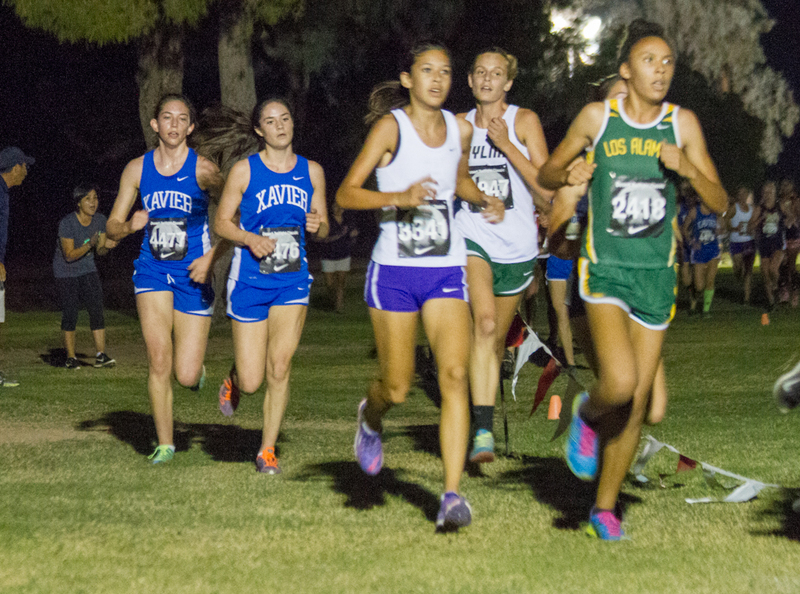 The race leader and eventual winner, Destiny Collins (ranked number 1 in the country) ran the first mile in 5:04. She had about a 20 second gap on the next pack through. 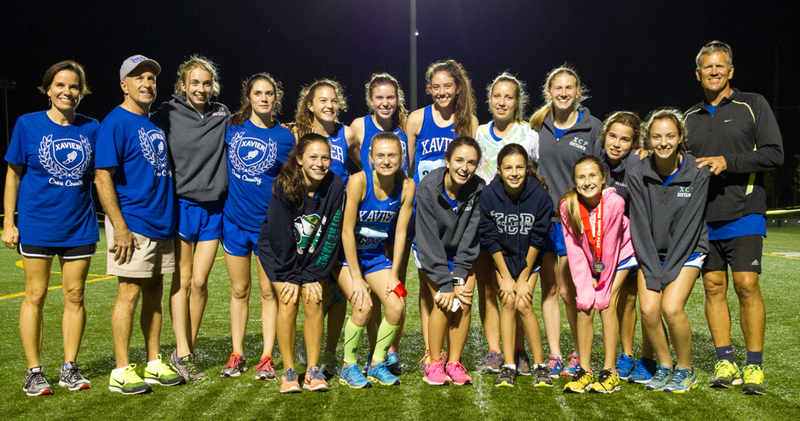 We didn’t get a mile split for Shannon and her teammates but we figure they came through at about 5:40. 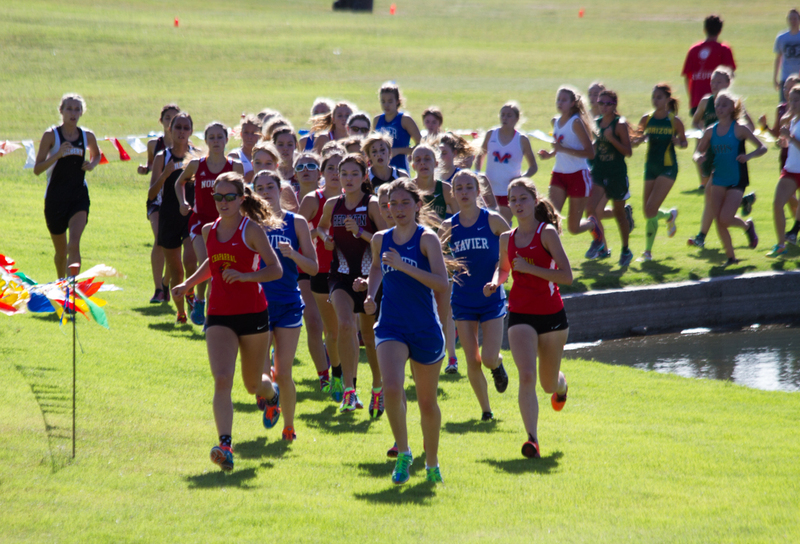 The course was great for spectators as they wound through the park and we were able to see them at three different locations. 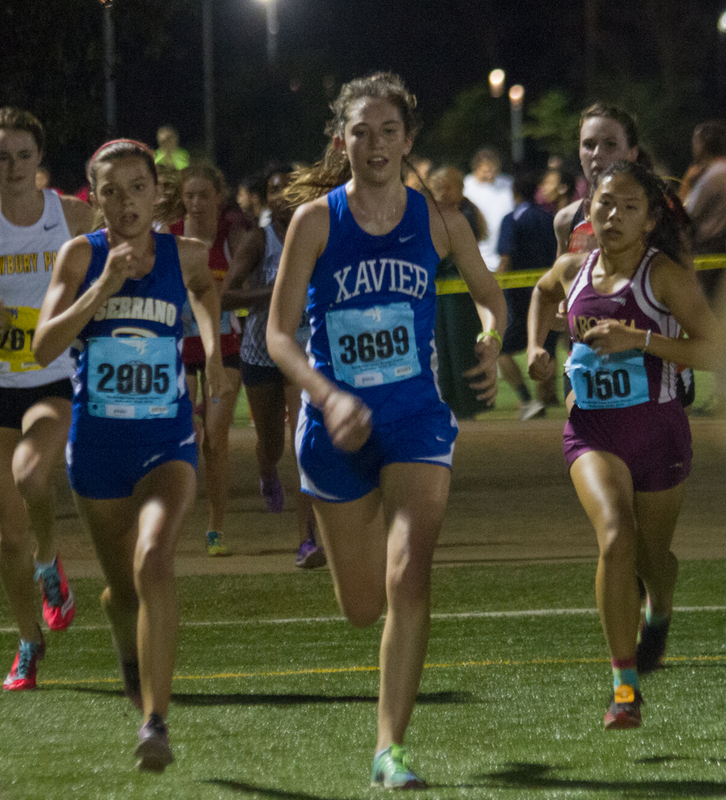 Shannon held strong throughout the race and had a great finish. 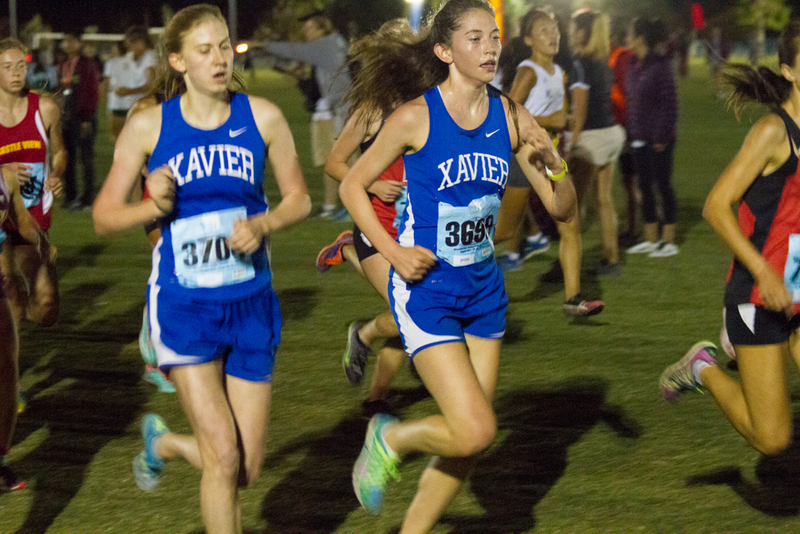 I think it was her best High School race. 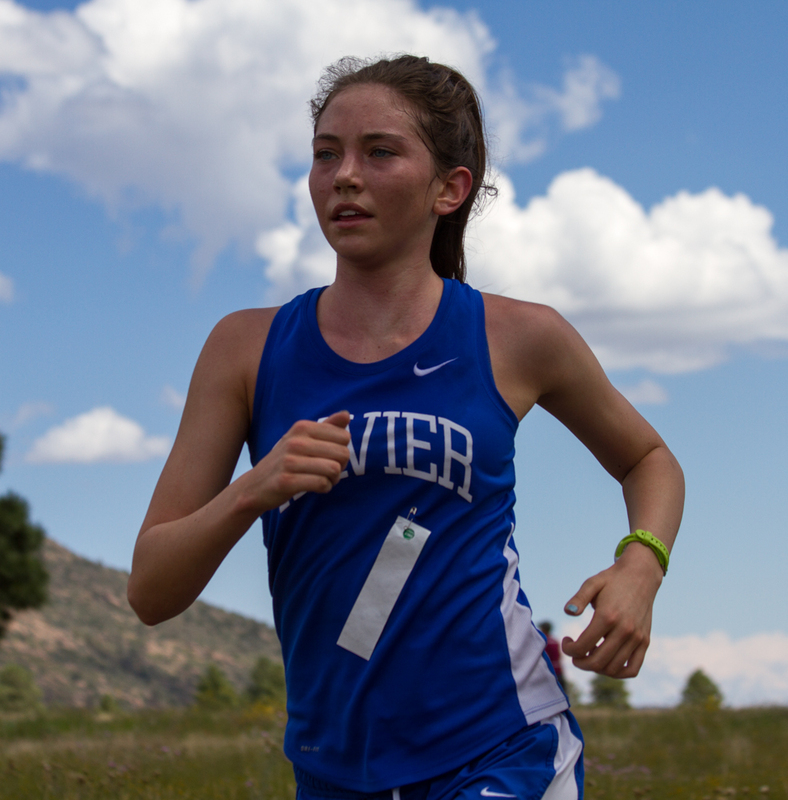 Shannon crossed the line at 17:42, a 50 second PR! 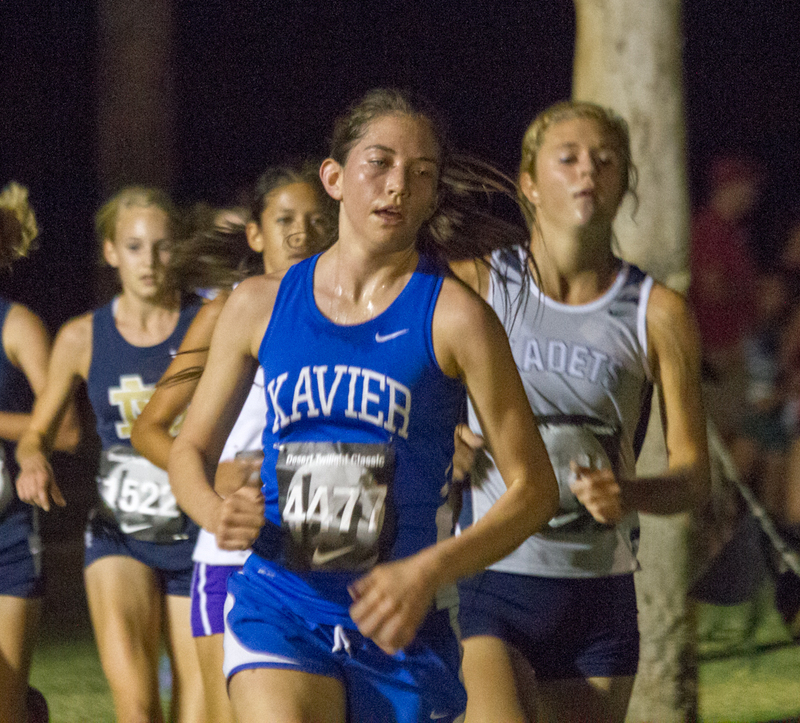 (Personal record) and second Xavier girl in. 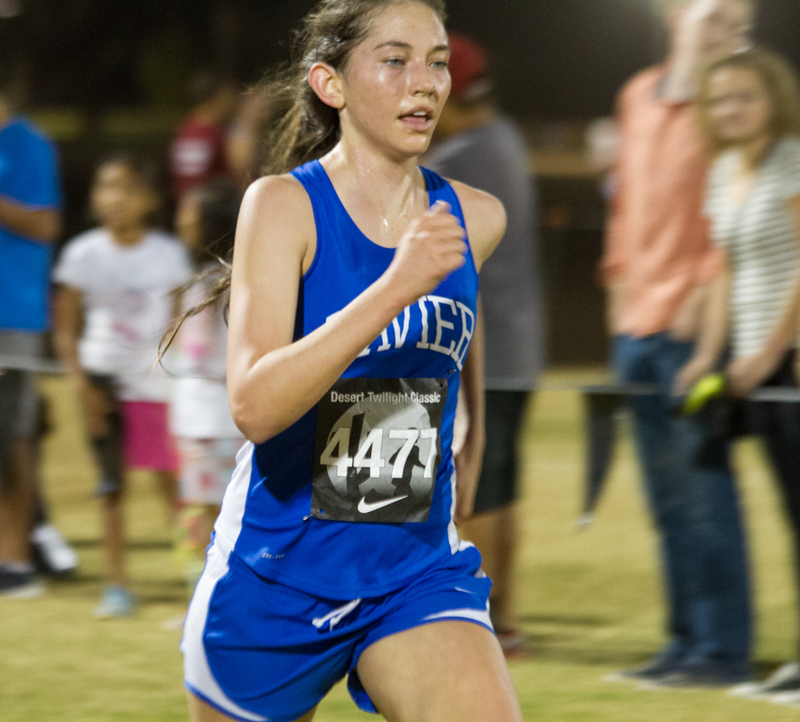 Most of the cross country meets that Shannon has been running are 3.1 miles so Shannon’s previous 3 mile best time was in her freshman year. That being the case though if she can run as strong in her next races she should have more PRs coming. Video You can see Shannon in the video at: 1:04 far side, 1:39 far side, 2:25 and 7:56. Race report. Shannon does get a mention. 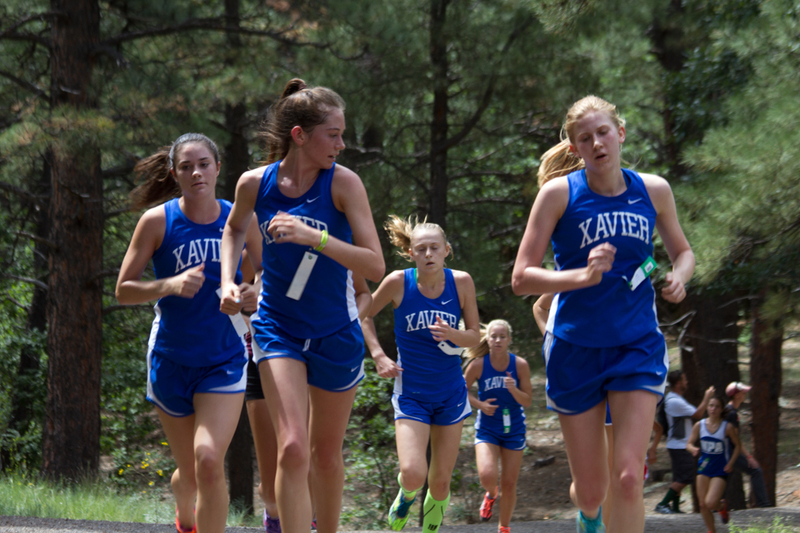 2014 Xavier Cross Country Season is off to a good start. 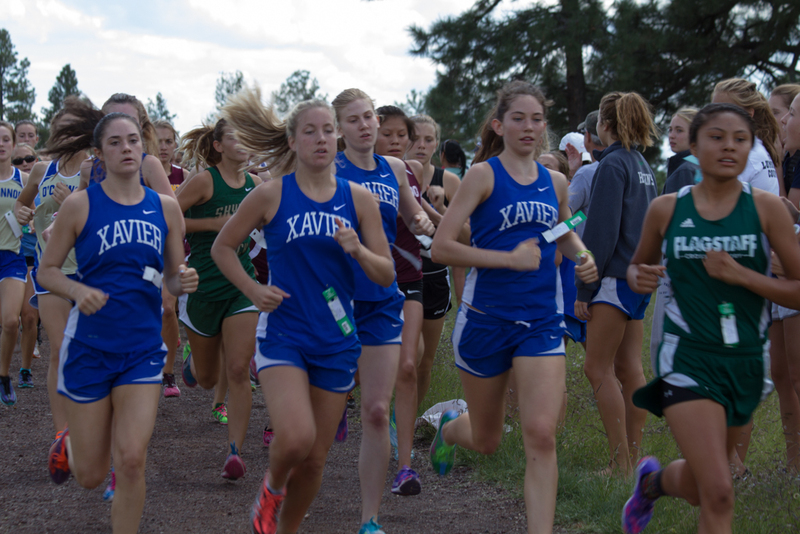 Shannon and her Xavier cross country team headed up to Flagstaff this past Saturday for the Peaks XC Invitational. 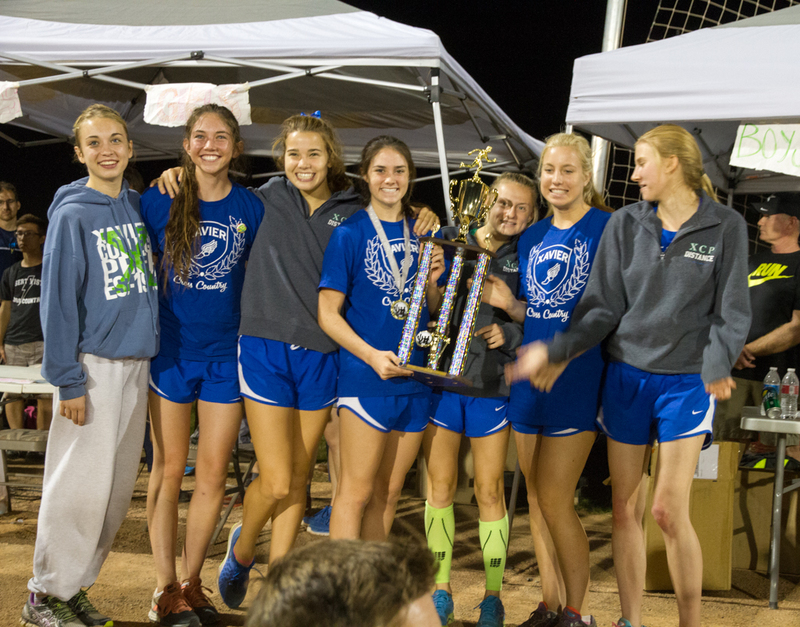 Shannon finished 6th overall and her team won the meet. 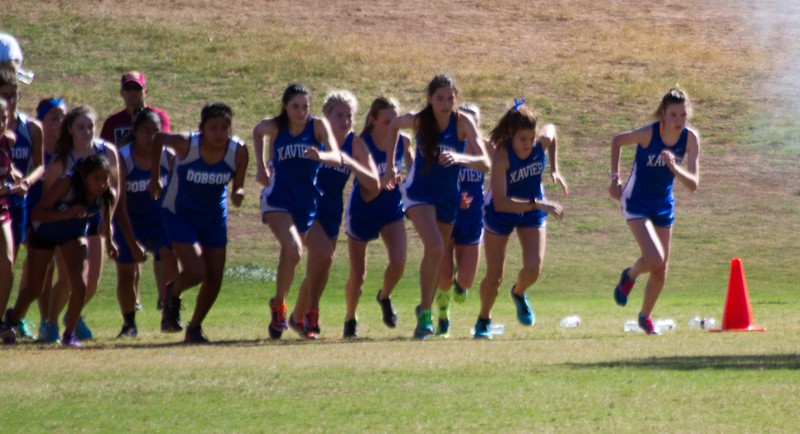 For this season the team is deploying a pack running strategy. Looks like they nailed it. Still early in the race. 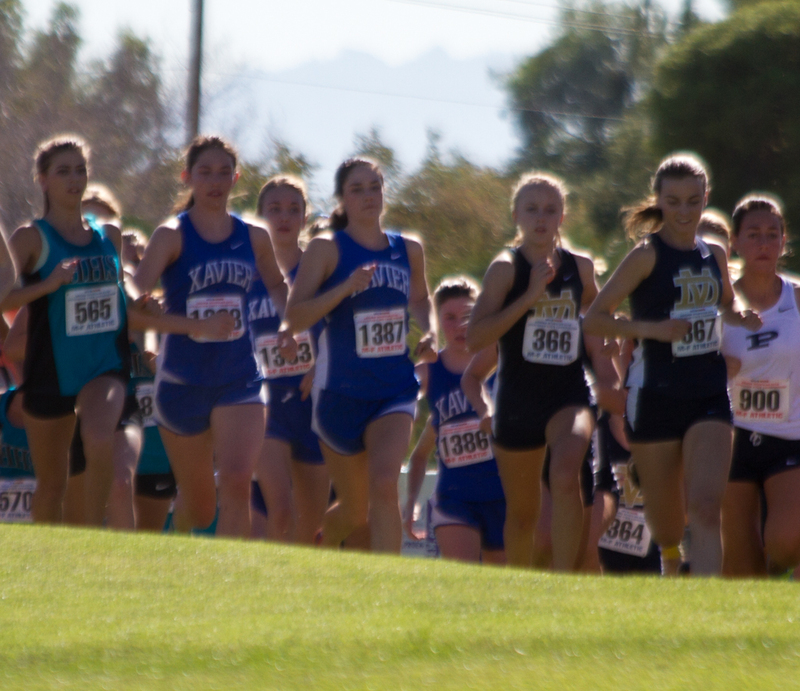 Between 200 – 300 meters into the race. The Captain checking on her team. 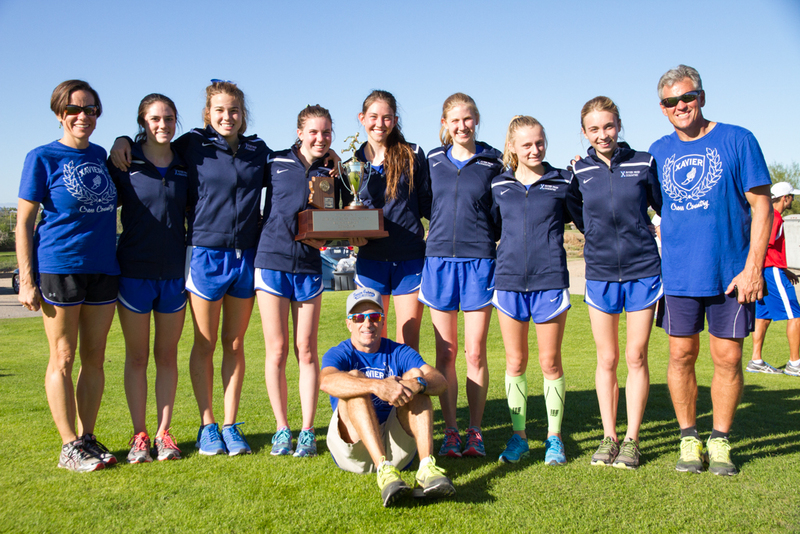 2014 Peaks XC Invitational Champions. Eat up the Miles, Drink in the Culture. Beth on All About the Run or What Doesn’t Kill You Makes you Stronger.